One of the key elements of survival is flexibility. There is always a possibility of circumstances occurring which make it impossible to continue with life as normal. In a sense, we can say that that’s the definition of a disaster. If life could continue as normal, then it wouldn’t be a disaster. But disasters come in different shapes and sizes as well. Some require only minor adjustments to our lives, while others require a total overhaul. These are the ones in which flexibility is truly our friend. Quite literally, if we are not able to make the necessary changes, we will not survive. One of the changes we might be forced to make is a change in our location. While bugging in or sheltering in place at home is the more prudent course of action in most cases, it isn’t in all. When the tsunami hit the east coast of Japan in 2011, sheltering in place was the worst option available. You’ve probably seen the videos; entire buildings were swept away by the rising water. Anyone who tried to shelter in place probably died. That’s why we always need a bug out plan. While you may not live anywhere near an ocean, there are other natural disasters that could hit your home. Then there’s the ever-present risk of social unrest, with angry mobs breaking down doors and destroying people’s lives. In either of these cases, bugging out may very well be the only prudent course of action to ensure survival. But a bug out plan isn’t enough if you don’t have the resources needed to bug out as well. Saying that you’re going to leave your coastal town and drive inland isn’t a plan if you don’t have a vehicle. Likewise, saying that you’re going to survive, without the equipment to survive isn’t a plan either. What should be in a bug out bag? In essence, the bug out bag contains everything you’ll need to have, in order to survive, if you are forced to abandon your home. To do this, it has to contain the food, tools, water and other equipment you’ll need to survive, no matter where you are. Granted, you can only carry a limited amount of food and water. So you should also carry the means to gather and purify water, as well as the ability to hunt or fish for food. Your bug out plan needs to take into consideration replenishment of your food supplies, either at your survival retreat, your bug out destination, or a cache that you have prepared. But your bug out bag should also contain enough food to keep you going for several days. Most people pack their bug out bags with three days worth of food. That idea came from FEMA, who listed the magic tree day figure in their version of an emergency kit. Personally, I don’t think that’s enough. I have five days worth of food in my bug out bag, with an additional pack that has even more. 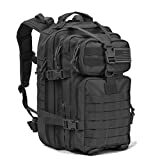 The starting point for any bug out bag is the bag itself. While there are different ideas about this, most people agree that a is best. While we would all prefer to bug out in our cars and trucks, those of us who have been at this a while realize that in a mass evacuation the roads will turn into a parking lot. If you don’t believe me, just take a look at the recent evacuation in Northern California, due to the failing of the Lake Oroville Dam spillway. If, or perhaps I should say “when” the roads turn into parking lots, you may have to take out on foot. In that case, a backpack is the most practical bug out bag there is. Carrying the same load in a suitcase or duffel bag would be much more difficult. But not any backpack will do. Avoid day packs, of the kind that children carry to school. They aren’t big enough to carry what you’ll need. It’s also a good idea to avoid military-styled packs, even though they are ideal in a number of ways. But a military-style pack sends the message that you are prepared, which might invite attack. Rather, use the type of backpack you would use if you were backpacking in the high country. If you assume that you’re going to have to survive off of what’s in that backpack, at least for some time, then the contents must meet your basic survival needs. That means providing for warmth, shelter, warm clothing, clean water, food, fire, some basic first-aid and self-defense. That’s a lot to put in one backpack, but it is possible. One thing to keep in mind is that bugging out is a lot like going on a backpacking camping trip. Your needs will be very similar. With that in mind, much of the equipment you carry along should be the same equipment you’d carry, if you were on that camping trip. Good backpacking gear is designed to be lightweight, as every ounce counts. While that good equipment is more expensive, it’s worth the extra money if you can afford it. Every ounce you can save on your equipment weight is one more ounce of food and water you can carry. Most people turn their food into homemade MREs. I don’t bother, as I find it easier to just carry the stuff that I can turn into those meals. If it’s in a meal, I tend to eat it all. Better to just eat what I need and allow it to last longer. All in all, I have about five days worth of food. I carry a larger first-aid kit than most people do so that I can be ready for anything. Just a personal decision I’ve made. I want to be able to help out anyone I run across who is hurt. Sam splint – foam backed aluminum, which is formable by hand. Can be fit to any shape to make a quick sprint. Much more comfortable and better than using sticks. All of these medical supplies, as well as some basic medicines, are packed in a shaving kit so that I can separate it from my bug out bag if needed. It normally hangs on the outside of the bag, so that I can get to it quickly. That makes for a rather heavy bug out bag, actually more weight than I want. But the food will be gone all too quickly, making me wish for that weight to come back.